Reported from Suara.com, the violence rate for women and children in Papua Province is highest among other provinces. Therefore, the Minister of Women Empowerment and Child Protection (PPPA), Yohana Yembise, actively strives for the elimination of violence against children in the easternmost region of Indonesia. Mama Yo, the Minister of Johana is present to the country to solve the problem of violence by way of direct dialogue with the community. One of them is in the village of Astj, Asmat tribe of Papua. Most of the people of Astj still do physical violence, both teachers to students, parents to children and husbands to the wife. Mama Yo advised that violence will no longer be resolved by way of customs, fines and mediation but must be handled legally. 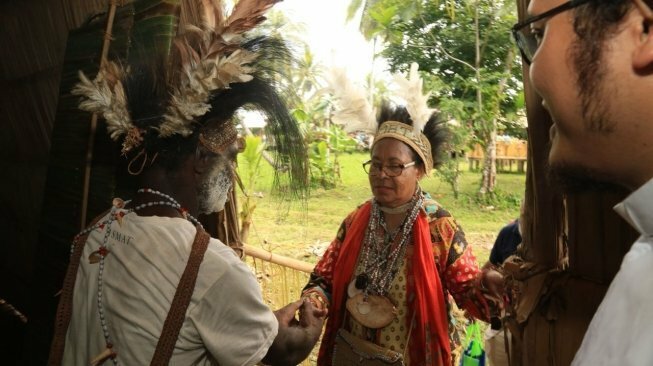 "Change the patriarchal culture, Astj's men have to protect, love and glorify women, and so do the children, pay attention to their health and education, especially girls," said Mama Yo with Papuan's distinctive accent when dialogue with teachers, communities, traditional leaders, religious leaders and children in the village of Astj, Asmat district of Papua recently. 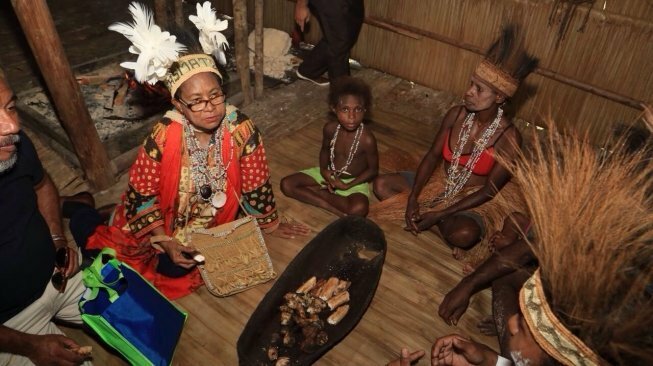 Earlier, Minister Yohana had signed the launching of Asmat Regency to the Children's Worthy Regency in Bumiwiyata Mandala building. There are 24 indicators and stages to be followed, one of which children must go to school, get access to health, good nutrition and civil rights protection. "No less important, immediately make a forum for children involved in the deliberations of development planning," he said. For the sake of progress in Papua, all elements of society must unite to eliminate the culture of violence from this moment on. "Kitong pu this land must go forward, no longer raw," added Minister Yohana in a release received by Suara.com.